Getting an error "Cannot unserialize pendining submission"
We have had this problem at Leiden University Library, could you tell us what fixed it for you? Can you please share the form URL or the website on where your form is currently embedded so we can check and investigate the issue? I was trying to locate this form ID 40290337949, but I'm unable to get any records. I have checked your account and no history of forms created possible that you have created this on a guest account and has been deleted. What you can do is clone this form and modify it. I tried cloning it and some fields are missing so you have to modify and add some fields that are not included when you cloned this. 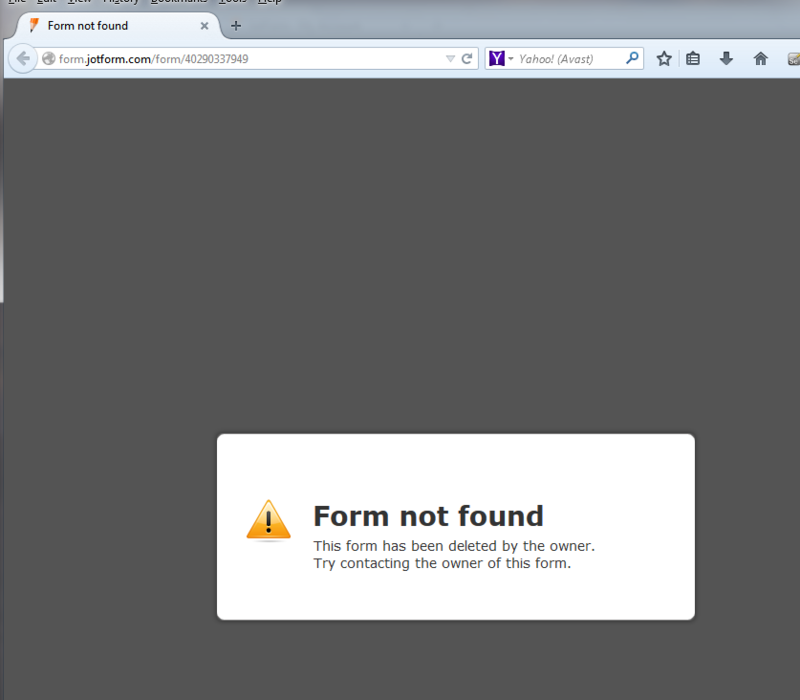 Please note that the form is located on our own jotform server https://www.jotform3.leidenuniv.nl/form/40290337949 we are also getting these errors on this form: https://www.jotform3.leidenuniv.nl/form/42092246249. I can provide you with out login if you need it to diagnose the problem? Ok that is why I'm unable to locate your form. For jotform licensing problem it would be best to send an email to contact@interlogy.com. You can also send your concern using this contact form http://interlogy.com/contact.html#. Our devs will be the one to respond to any issues related to Jotform licensing.